A drawing of a woolly mammoth. 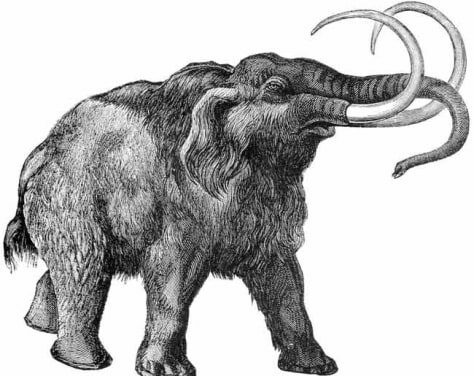 These beasts were bigger than mastodons and had curved rather than straight tusks. They died off about 10,000 years ago, and scientists aren't yet sure if climate change was to blame — as the Ice Age ended — or if human hunting pressure played the larger role. Some even think a comet did them in.